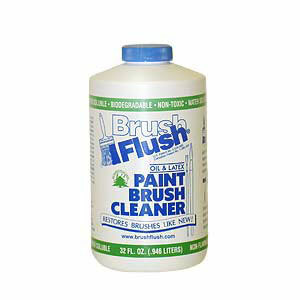 Any and all representations and warranties regarding Brush Flush® products, whether express or implied, are solely as set forth hereinafter and shall be for the sole benefit of and strictly limited to the original consumer purchaser who initially purchases the product and shall not apply to any other person or entity who uses or comes into contact with the product. Brush Flush® warrants that Brush Flush® products will be free from defects in material and workmanship under normal use conditions (as such use conditions are set forth in the Brush Flush® product use instructions that accompany the product) for one year from the date of original consumer purchase. During the limited warranty period we will, at our option, either replace defective Brush Flush® product or refund the purchase price of Brush Flush® to the original consumer purchaser. Unused and defective product must be returned to our facility to permit the replacement of the product or a refund of the purchase price. Shipping costs and insurance incurred by the original consumer purchaser to return Brush Flush® to our facility are not covered by this limited warranty. However, we will pay the cost of shipping replacement Brush Flush® product to the original consumer purchaser. This limited warranty is offered only to the original consumer purchaser. This limited warranty is subject to the condition that any covered defect occurs under normal conditions of use and maintenance and that Brush Flush® receives prompt written notice of the discovery of such defect within the limited warranty period. It does not apply to damage or failures that result from any modification, abuse or misuse of Brush Flush® product. The limited warranty is void if any attempts are made to alter Brush Flush® product prior to returning the unused portion to our facility as set forth below, within the limited warranty period. EXCEPT AS SPECIFICALLY SET FORTH HEREIN, THERE ARE NO WARRANTIES, REPRESENTATIONS, PROMISES OR ASSURANCES BY BRUSH FLUSH® EITHER EXPRESSED OR IMPLIED, WHETHER BY LAW, CUSTOM, PREVIOUS TRANSACTION OR OTHERWISE, INCLUDING WITHOUT LIMITATION, WARRANTIES OF MERCHANTABILITY OR FITNESS FOR A PARTICULAR PURPOSE WITH REGARD TO BRUSH FLUSH®. BRUSH FLUSH®’S LIABILITY IS SOLELY AS STATED HEREIN AND NO OTHER LIABILITY SHALL EXIST, WHETHER BY NEGLIGENCE, STRICT LIABILITY, TORT OR ANY OTHER CAUSE OR ACTION. 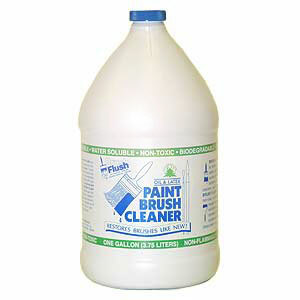 ALL LIABILITIES FOR BRUSH FLUSH® STATED HEREIN ARE THE SOLE AND EXCLUSIVE REMEDIES OF THE ORIGINAL CONSUMER PURCHASER. IN NO EVENT SHALL BRUSH FLUSH® BE LIABLE FOR ANY CONSEQUENTIAL OR INCIDENTAL DAMAGES, OR ANY OTHER TYPE OF DAMAGE WHICH MAY BE CAUSED IN WHOLE OR IN PART BY ANY FAILURE, DEFECT OR OTHER PROBLEM OF BRUSH FLUSH® OR BRUSH FLUSH® PRODUCTS. To obtain limited warranty service, please Contact Us, to obtain a Return Authorization Number. Brush Flush® will not accept any product or product component without a Return Authorization Number. Individuals are welcome to make a single copy of a document or any part of a document published by Brush Flush® on the World Wide Web for personal use provided that Brush Flush®’s copyright notice (Copyright 2000 Brush Flush®) and World Wide Web address (http://www.brushflush.com) are prominently included in the copy. You are also welcome to direct people to the Brush Flush® World Wide Web site in order to download their own personal copy. Members of the news media are welcome to use a portion of this document in reviews or published news stories provided the source of the information is credited as Brush Flush® and includes the web site address (http://www.brushflush.com). This material may not be copied, reproduced or distributed, in whole or in part, without written consent of Brush Flush® except for personal use and as stated above. The photographs and all information contained on this web site are copyrighted with all rights reserved. All other trade names referenced are the service mark, trademark or registered trademark of the respective manufacturer. All documents published by Brush Flush® on the World Wide Web are provided “as is” WITHOUT WARRANTY OF ANY KIND, either expressed or implied. Any Brush Flush® document may include typographical, pictorial, technical or other inaccuracies. Brush Flush® reserves the right to make improvements or changes to these publications without notice. It is our official policy to NOT ACCEPT any unsolicited suggestions for product improvements, new product ideas or marketing ideas from outside the company. We may already be working on a similar idea, and this policy eliminates potential conflict regarding ownership of the concept. You can be assured that any unsolicited product ideas we receive are never shared with anyone in our research, product-development or marketing departments. The information we gather is used to process orders and to provide you with a better shopping experience. When you order from this web site, we need to know your name, mailing address and your credit card number and expiration date. We use this information to process and fulfill your order and to notify you of your order status. Additional information may be requested in order to improve our site. You do not have to answer these questions, although it may limit the services we can proactively offer you. We use your IP address to help diagnose problems with our server and to administer our web site. Shoppers’ unique identifiers are recorded for use as account numbers in our record system. In addition, this site uses “cookies,” which are small pieces of information stored on your hard drive. While our cookies contain no personally identifying information, they do allow us to keep track of your shopping cart. Most browsers automatically accept cookies but you can usually change that feature. Even without cookies, you can still use this site to make purchases. Brush Flush® does not sell, rent or trade your personal information to anyone else. However, we reserve the right to choose to do so in the future with reputable and trustworthy third parties without prior notice to you. We value your opinion and welcome any comments you might have with regard to your experience with Brush Flush®. 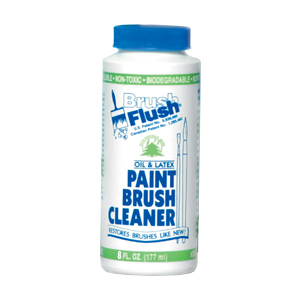 Any comments submitted to us regarding your satisfaction with Brush Flush® may be posted on our web site. Of course, in an effort to protect your privacy, while at the same time sharing your satisfaction with other web site browsers, no information beyond your first name and initial of your last name together with the city and state in which you reside will be included in any use of all or a portion of your comments. Brush Flush® is protected by U.S. Patent No. 5,626,685 and Canadian Patent No. 1,285,462. Brush Flush® is very sensitive to the privacy concerns of the visitors to its site on the Internet. As a general policy, no personal information is automatically collected from visitors to the site. However, certain non-personal information of visitors is recorded by the standard operation of Brush Flush®’s Internet servers. This information is primarily used to provide an enhanced online experience for the visitor. Information tracked includes the type of operating system in use (e.g., Macintosh, Windows) and the type of browser being used by the visitor (e.g., Netscape, Internet Explorer). Other uses of this information include internal review of the number of visitors to the site, but only in an aggregate and non-personally-identifiable form. E-mail addresses and other personally-identifiable data about visitors to this site are known only when voluntarily submitted. Personally-identifiable information that may be collected in connection with visitors is retained by Brush Flush® and is not sold or otherwise transferred outside the company. This information is collected to help us better understand visitors’ use of our site. Users of Brush Flush® web sites should be aware that when they voluntarily disclose personal information (e.g., user name, e-mail address, etc.) on a bulletin board or in a chat area, the information could be collected and used by other web surfers. This may result in unsolicited messages from other posters or parties. In addition, Brush Flush® web sites may contain links to other sites. We make every effort to link only to sites that share our high standards and respect for privacy. However, we are not responsible for the content or the privacy practices of other sites. Because your credit card security is our highest priority, we have security measures in place to protect the loss, misuse and alteration of the information under our control. Additionally, our secure server software (SSL) is among the best available for secure e-commerce transactions. It encrypts all of your order information including credit card number, name and address, so that it cannot be read as it is transferred over the Internet.